There’s no escaping the focus on wellness in today’s workplace. With countless studies showing how wellness initiatives can improve employee productivity, retention and mental health, wellbeing is now firmly on the agenda of every business. From interior design and furnishings to architectural considerations and space planning, wellness is serious. 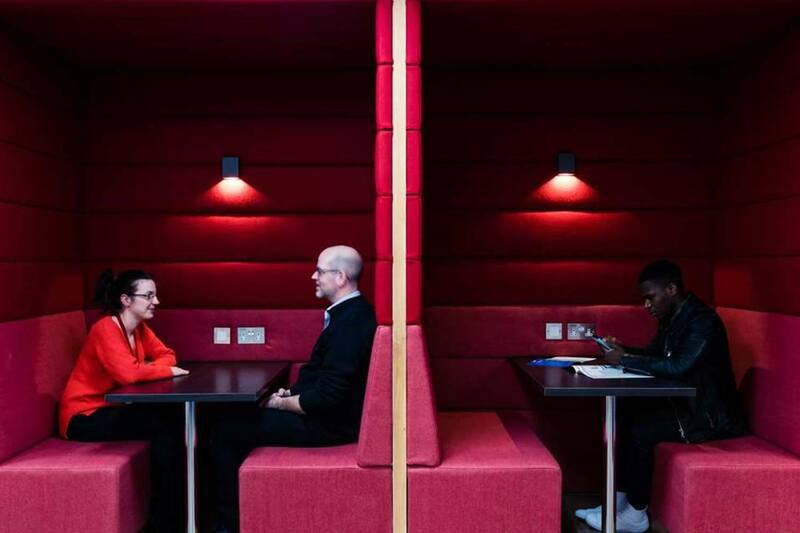 For our interior architects and furniture designers, wellness and human experience strongly influences how we design a workplace – but how is this hot topic translating to action for the average business owner or facilities manager? With an almost overwhelming amount of information now available, it’s not surprising that so many businesses lose their way with their wellness implementation. A handful of excellent evidence-based frameworks have emerged over recent years that stem from the comprehensive work of institutions like WELL Building and BREEAM. Whilst the ultimate goal of these organisations is to encourage large organisations to achieve formal certification, their frameworks provide a useful guide for everyone else keen to phase their approach to workplace wellness over time with smaller projects. It’s best to think natural, when approaching workplace wellness. Work hard to maintain clean water and air supply throughout your building, changing filters regularly to ensure consistency in quality and temperature, ventilation and CO2 quality. Install monitors or carry out checks to monitor quality and record. Specifying low-VOC products is essential for low-toxicity in your work environment so consider the paint on your walls, the printing and cleaning products used on site (and where they are housed), and the solvents or varnishes used in your furniture. An interior designer can advise on where to source healthier fittings and furnishings for overall health. There are many plants that absorb VOCs and improve air quality, too. 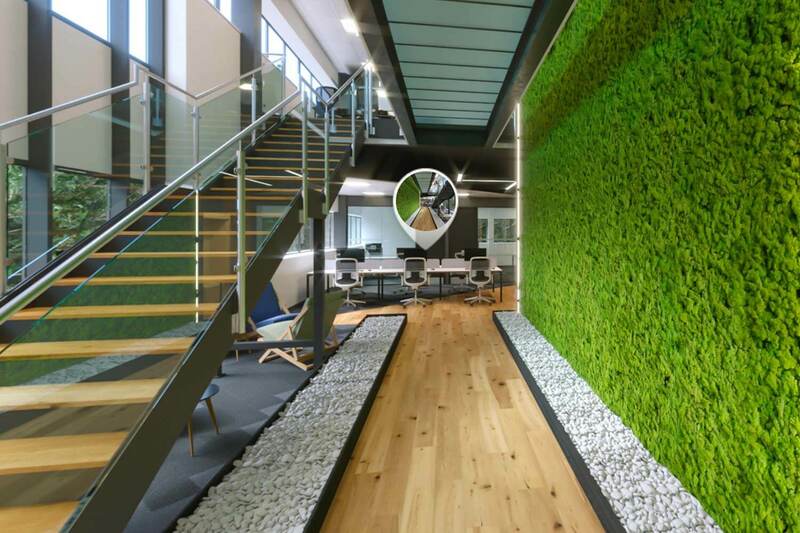 Biophilic design has also been shown to improve productivity and wellbeing when used in the office. By bringing nature inside the workplace and incorporating greenery, natural materials and light, your employees are able to psychologically connect to the natural world outside. Natural light is an obvious, well documented and very important wellbeing factor and impacts the quality of your performance on many levels; helps to synchronise circadian rhythms, decrease stress and depression, reduce eye-strain and headaches, and increase alertness. Remove any barriers to windows but ensure you have blinds to diffuse glare on bright days. Match the light to the task areas, considering the level and type of light required for computer work, paper-based admin, training and meetings. It isn’t always possible to increase access to windows in a building with limiting pre-existing architecture, but you can re-assess the space and layout to maximise natural light where possible, replacing solid walls or partitions with glazed walls, for example. Where natural light isn’t available, take care to maintain a comfortable, controllable light level with automated dimmer controls, low-glare computer screens and a visual lighting design that emulates natural daylight. Comfort goes much further than the office chair. From acoustics and noise irritants to temperature, privacy and ergonomics, comfort extends throughout the workspace and plays a major factor in the output and happiness of people at work. Sound reverberations from electronic systems and background noise from colleagues are distracting and difficult to ignore, and can decrease productivity by up to 66%! To minimise disruptive noise levels, use furniture and partitions as sound barriers. 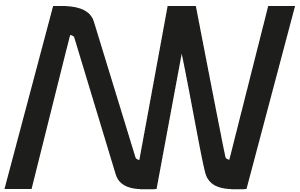 Zone different areas within the workspace with acoustically sound materials, storage and cubicles that absorb or soften surrounding sound pollution. Yes, you read that right: Cubicles. 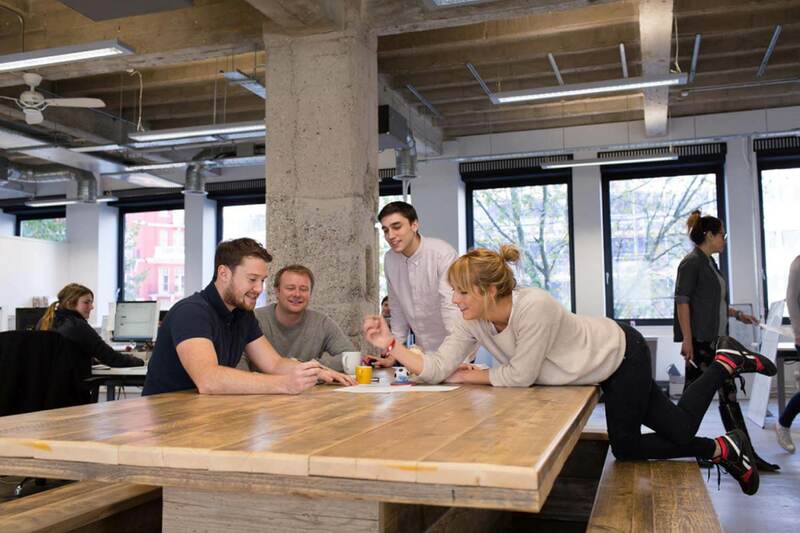 There has been a great debate on the pros and cons of open plan versus private offices. 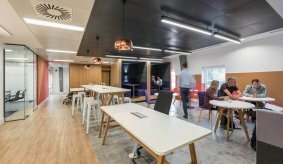 Balance and flexibility of space is key and incorporating both styles of workspace has been shown to improve general wellbeing and output. 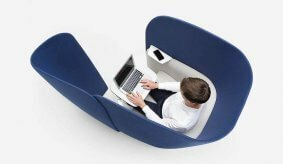 Ergonomic chairs, keyboards and desks are nothing new, but we now have much greater choice over how these pieces of furniture look and perform in workspaces that adapt to task and mobile workforce. There are well-documented studies on the health issues that come from prolonged periods of sedentary behaviour (e.g. sitting at a desk all day) or standing too long. The emphasis is now very much on encouraging movement throughout the work day. Standing desks or sit-stand desks encourage people to change position and stretch their legs without leaving their workstation. Research shows this can improve back problems, blood pressure issues and risk of diabetes. Agile workspaces with different work zones similarly motivate people to move from one workspace to another during the day for different tasks or meetings. Moving from a personal workstation to a collaborative workspace can greatly improve clarity of thinking and creativity. Where space allows, some businesses are now installing fitness rooms within the building for classes and workouts throughout the work day. For those that can’t offer a gym or lunchtime yoga class, the simple act of using the stairs rather than the lift can have an equally beneficial result for employees, as can group walks and local gym membership. It doesn’t stop there, either. From nutritional initiatives to stress-reducing practices like meditation at work, there are hundreds of small changes any business can make to improve the physical and mental health of their employees. 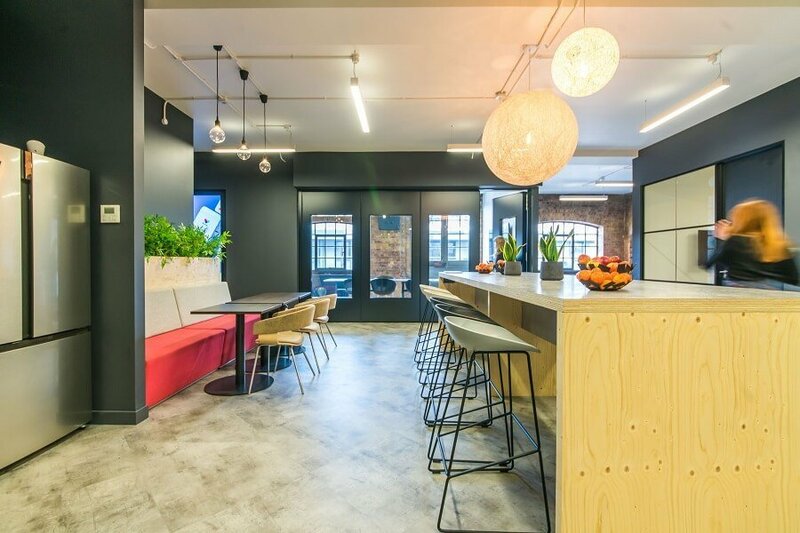 If you’d like expert advice on the interior design, furniture or fit-out of your workspace, we’d love to help. 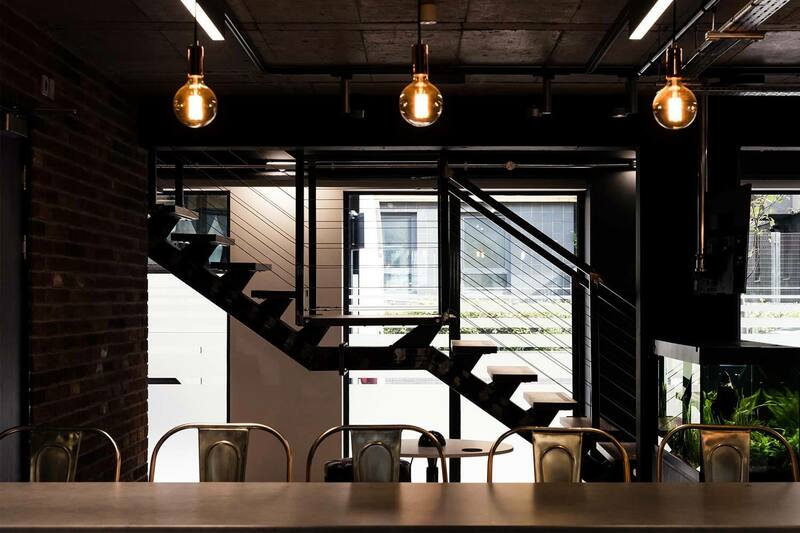 Take a look at these workplace interior examples or contact us to talk about your project.